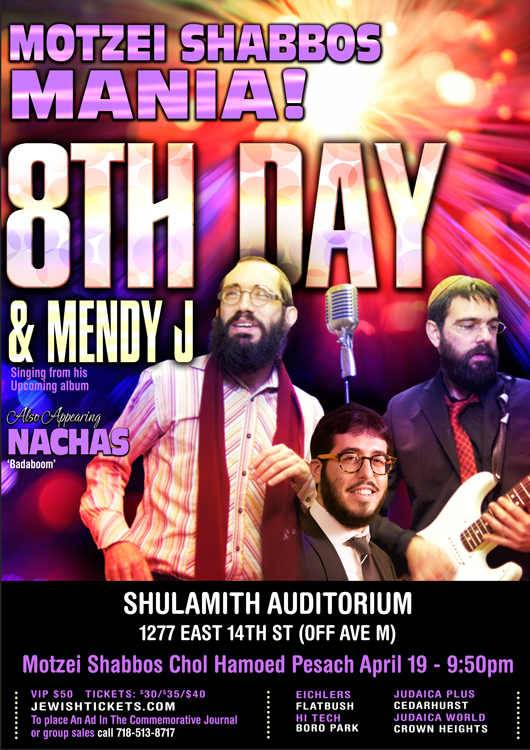 8th Day & Mendy J, also appearing, NACHAS. Motzei Shabbos Chol Hamoed Pesach, April 19th, 9:50 PM. Tickets available at JewishTickets.com. Shulamith Auditorium, in Flatbush. 1277 East 14th Street, Brooklyn, NY.